Last month, I announced that I would be offering a new sponsorship opportunity for my book-loving blog friends called the Book-Lover of the Month. I wanted a chance to show off more book-loving bloggers like myself. When I announced this new spot, Erinn jumped right on it and snatched up the first spot. Erinn is one of those bloggers that I know I would be best friends with in real life. She's a military spouse (like myself) and a talented dancer (very unlike myself). She's a brave, honest writer who's not afraid to say it like it is. I gave Erinn some interview questions to answer. She was very cooperative with being my first BLOTM guinea pig. Books have been a big part of my life for a long time so of course, I find myself writing about them or relating some sort experience back to books throughout my blog posts. Jessica's Book Chat link up has been my main motivation for such posts over the past year and my favorite book related post was in response to one of her prompts. I know some people can only read books once but I am a serial re-reader mostly for the comfort I feel in re-reading a good book. Before writing this post, I had never thought about how I categorically choose books depending on the kind of comfort I need but I break it all down in this post. God this is a hard question to answer! I get very sentimental about books and there are many I hold close to my heart. If I could pick more then one I would definitely say Harry Potter in it's entirety but the questions calls for only one. I guess I would have to pick the Time Traveler's wife. 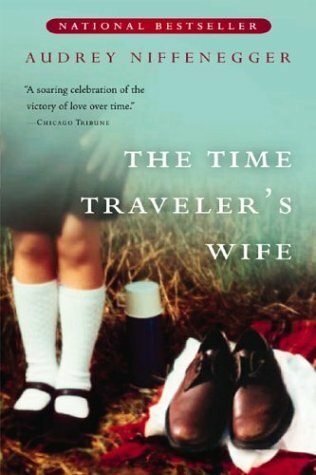 There are other books which have made an impact over the years like The Giver, The Book Thief, The Fault in Our Stars, The Long Walk, Eleven Minutes and so many more but The Time Traveler's Wife was my gut reaction answer to this question. To me, it's one of the more well rounded books I've ever read. There's suspense, romance, mystery, flawed characters, fantastic dialogue and the unique element of time travel. It is also a very happy book and a desperately sad one, too. It has everything that makes books good to me all wrapped between one binding. I just love the story even though it makes me cry harder then any book or movie I've read or seen. If you haven't read it, it's really beautiful and you should give it a try. "I do not read for I have renounced life. I read because one life is just not enough for me"- Abbas Al-Akkad. It's perfect to describe why reading has such an effect on me and why I hunger for the companionship of books. Those answers are perfect. 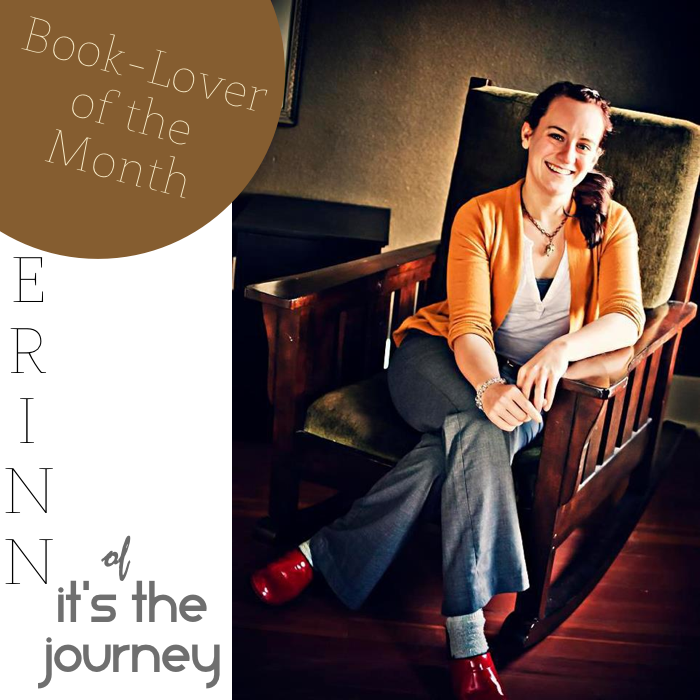 Thank you, Erinn for being such a great blog friend and being my FIRST book-lover of the month! I love that quote, by the way. I love the Time Traveler's Wife! I love Time Traveler's Wife, one of the only books that I have an actual hard copy of. I love it. I really liked The Time Traveler's Wife movie. I'm not sure how much of that is related to the book. I really liked The Giver too! That was a great read. Love the quote Erinn shared! I love the Time Traveler's Wife. It's such a great story! I love quote Erinn shared too. I used to spend summer's at my Grandparents too and spent time reading outside in their yard. Happy memories! I am looking forward to these BLOTM, it's a great way to find fun blogs to read.